I’m well aware of how costly it is for kids to participate in organized sports and other physical activities. Bridget has been in hockey for the last two years. Even though we bought most of her equipment used, the costs still added up. She also participates in horseback riding lessons and will be attending a horseback riding camp this summer. My heart dropped into my stomach when I saw how much a week of camp cost. Let’s just say I had to make instalment payments. The sad reality is that many children cannot participate in organized sports and physical activities if the money simply isn’t there. We went through hard financial times in the past and didn’t have anything left after bills were paid and food was on the table. I hated having to tell my kids that they couldn’t sign up for this and that because the money to pay for it simply wasn’t there. May 28th was Jumpstart Day, an annual fundraising celebration to help kids from financially disadvantaged families across the country participate in organized sports and physical activities. Canadian Tire is continuing the celebration into this month. 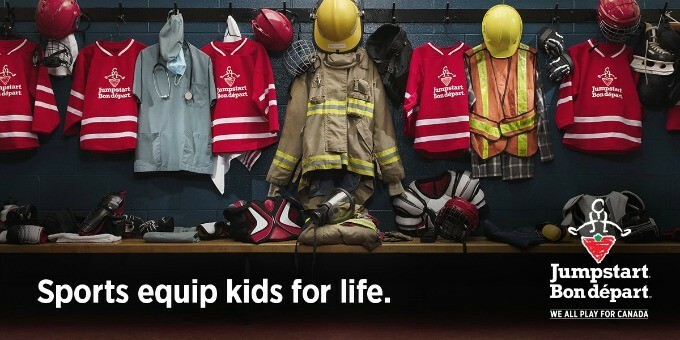 June is Canadian Tire Jumpstart Month and Canadians now have the chance to show their support for this worthy cause by donating at their local Canadian Tire store. Last year, they raised over a million dollars in Canadian Tire stores across Canada on Jumpstart Day and during Jumpstart Month. Let’s help them raise even more this year! 100% of all customer donations stay within the community where the donation is made. I like the fact that my donation will be giving local kids the gift of play. Jumpstart helps them by covering the costs of registration fees, equipment and/or transportation. Why does playing sports matter so much? For one, it’s fun and promotes an active lifestyle. More importantly, it teaches children important life skills like teamwork, confidence, courage and resilience. Visit your local Canadian Tire during the month of June and support Jumpstart month. Many Canadian Tire stores will be hosting fun events like BBQs, sports demos and play days so make sure to ask at your local store to see what is being planned in your community. 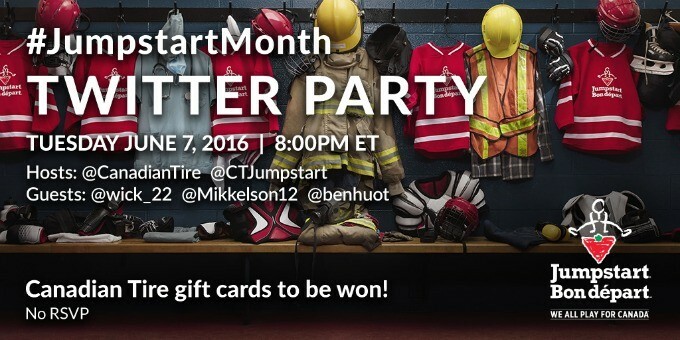 Spread the word and join the #JumpstartMonth Twitter party on June 7th at 8pm ET! No RSVP required. If you are new to Twitter parties, follow along on the party TWUBs.